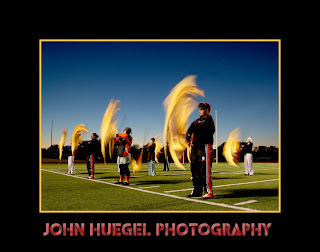 Lower shutter speed combined with stadium lights and a dusk skyline, result in an interesting shot of the color guard working on flag spinning drills. This entry was posted in color guard, Marching band by admin. Bookmark the permalink.